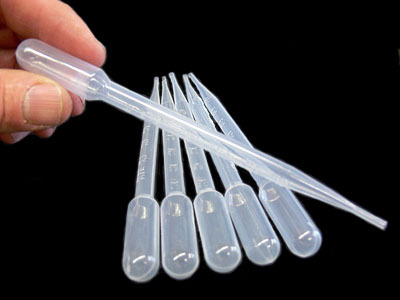 One piece molded, graduated liquid transfer pipettes. Made from LDPE (Low Density Polyethylene). They are chemically inert, resistant to just about everything and non-toxic. Controlled, reproducible drop size makes them perfect for all laboratory use, blood banking, hematology and microbiology. Two sizes available - choose either 1 ml or 3 ml ( they come in a pack of 6 ).